UPDATE: The winner of the free ebook is…Arlene Messa! Thanks for inviting me, Delilah. I appreciate the opportunity to meet with you and your followers and look forward to a lively discussion. I must admit, I didn’t have any difficulty choosing a topic. Brainstorming has always been a favorite part of writing with me. Every time I begin a new book, I can hardly wait to hear the “what if” suggestions from my critique partners and friends. Not only do I consider the exercise fun, it can be a lifesaver. There is not a plot that can’t be enhanced, and through brainstorming, one can discover that “ah ha” moment. When to brainstorm? I’d suggest early and often. Waiting until your manuscript is finished can result in rewriting a good portion of your book. Not fun! Be sure to consider all the possibilities, but before implementing any change, make sure it’s what you need. Don’t create additional problems. Brainstorming can also enrich your manuscript in other ways. For good or bad, the change can test your characters. You can count on it to build tension and ramp up the pace. As an author, you just have to be brave and willing to make changes. Do you brainstorm? Have you ever experienced that “ah ha” moment? 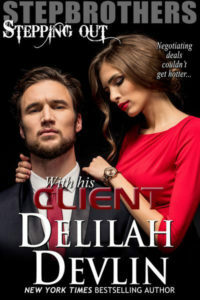 Leave a comment, and you’ll be entered to win an ebook of my latest release. 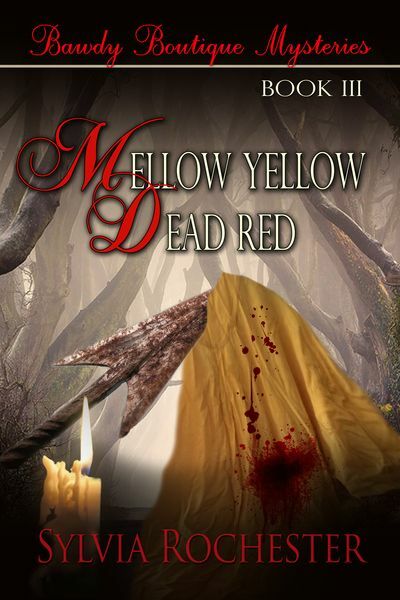 Mellow Yellow-Dead Red, Book 3 of the Bawdy Boutique Mysteries, is scheduled for release January 6. And yes, lots of brainstorming went into this series. Book 3 begins with Halloween and a late-night fun run in costume, alongside a swamp. What could possibly go wrong? When fashion divas, Susan and A. K. stumble upon a murder, Susan sets out to solve the crime. Did I mention she’s also psychic? Visions are one thing, but hard evidence is a necessity. The small Southern town of Palmetto isn’t prepared for what unfolds. I hope you’ll consider reading the series. Print and ebooks are available at Amazon and Barnes and Noble. View all my books at www.sylviarochester.com. Join me on Face Book: http://www.facebook.com/sylvia.rochester and on Twitter: @sylviarochester. Thanks again for letting me visit. This entry was posted on Friday, December 12th, 2014 at 8:18 am in Contests!, General. Tagged: Guest Blogger. You can feed this entry. Both comments and pings are currently closed. I admit I’ve never tired this since I usually know my plot before I start writing, but it does sound like a fun tool to try one day. Good luck with the new book, Sylvia. Thanks for stopping by, Carla. Do try it. You might be surprised. Hi Sylvia, I know for sure you are a great brainstorming. In fact I need some now! Your books are great and this one will be a hit, too. Sylvia, I loved the 1st 2 books in the series. This one sounds very exciting. I’m looking forward to reading it. Hi, Arlene. I’m sure you’re going to like this one, too. Hope to see you before Christmas…maybe over lunch. I do brainstorm. I am a professional clown and sometimes with my clown partner we run routines through and agree which is better. Thanks for the giveaway. Thanks for the comment, Pat. I’ve been known to come up with some way out “what ifs.” Makes for interesting possibilities. Good luck on the drawing. Congratulations, Sylvia, on the opportunity to participate on this Blog ~ As you well know, you’re my favorite author ~ Looking forward to us being able to get together soon ~ possibly once our friend Vicki gets settled into her new place ~ Looking forward to reading your new book! Congratulations on your new book. Can’t wait to read this one too!! Love this series- it’s so much fun. Glad you stopped by, Lorna. Hope to see you soon. Maybe you can make my next signing in Hammond. Erica, can’t wait for you to read this one. I can’t write them fast enough for you. Thanks for stopping by and leaving a comment. Thank you for the information, Sylvia. Brainstorming is half the fun, I think. Katie, I’m with you. It’s absolutely fun and have resulted in good things for me. Thanks for commenting. Love the cover! What a title! I can’t wait to read this one. Sylvia, thanks for sharing your creative works with us. Flavia, so glad you’re here. Thanks for the lovely words. You are special. Thanks to everyone who participated. Drum roll, please. 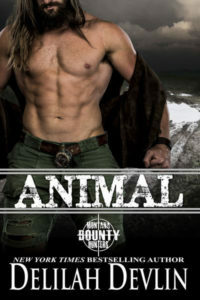 And the winner of my new release is…….Arlene Messa. I will contact you shortly. I cannot wait to read the third book. I’m not able to put it down once I start! I think it’s fascinating to hear how you start with brainstorming to create the ah-ha moments of the book. I brainstorm all the time in lots of areas of my life. It’s always fun to hear what other people think – I always say it takes a village and when we’re creating we’re all connected!